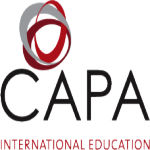 CAPA offers a seventeen-week semester or an eight-week summer program in Beijing at Capital Normal University. The CAPA Beijing Program offers you the opportunity to begin learning Mandarin Chinese, or to advance your existing Mandarin language skills rapidly, in an intensive program, and to expand important historical and current understanding of this fast developing country so crucial to the Western world through courses taught in English. The courses examine the development and role of Beijing as an emerging global city and the reform, current state, and future prospects for the Chinese economy in a cutting edge curriculum where you might join local Chinese university students in class. The area studies focus includes a Mandarin course for beginners at a less intensive pace, supported by access to a language partner. In both options a challenging part-time internship placement can be added, supported by CAPA's Learning Through Internships seminar. Internships in a host of disciplines are open to you at all levels of language ability and include businesses, nonprofits, and nongovernmental organizations. This combination is strongly recommended for business, economics, and other students looking to enhance their marketability by becoming "China smart". You may enroll for a seventeen-week semester or an eight-week summer program. Both options include housing at Capital Normal University, a weekly meal stipend, a transportation pass for the metro and buses, entrances to the Forbidden City and the Summer Palace, a daytrip to the Great Wall, a 4-day excursion to Shanghai (semesters only), and CAPA'sMyEducation Program. If you are studying at the intermediate Mandarin level or above, you can also live in a homestay for an additional fee. All CAPA students will take a placement exam to determine their level of Chinese. Each Chinese level integrates sections on listening, reading, writing, and speaking. Students on the fall and spring semester program may choose an intensive language course for 9 credits or a standard language course for 3 credits. All CAPA students receive full credit for courses and internships completed. The intensive semester language courses earn 9 semester credits. All other language courses, the contextual courses taught in English, and Learning through Internships all earn 3 semester credits. Credits are issued through the State University of New York at Oswego.